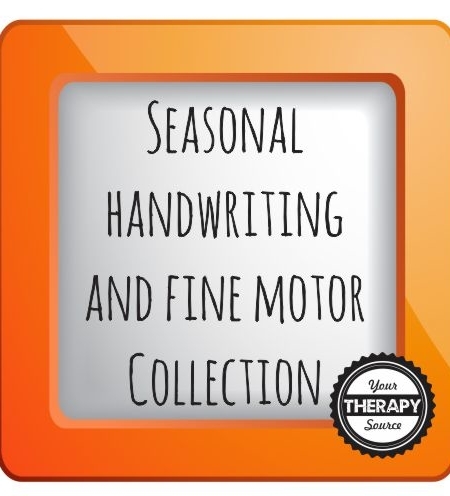 This collection includes the electronic documents below. You will receive immediate download links following payment. Regular price for all 8 titles is $42.43. SALE PRICE of 50% off for this collection of 8 titles via download = $21.21. 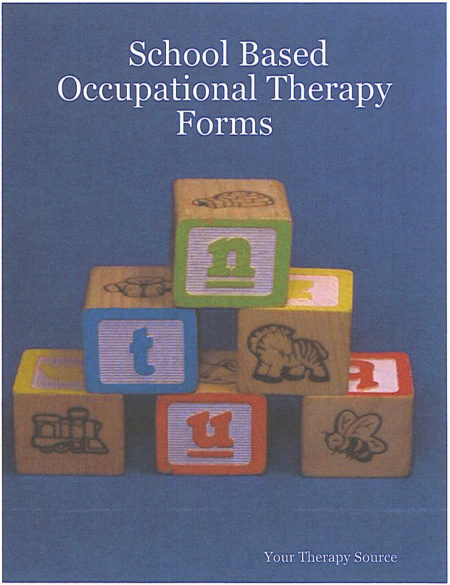 Cut and Paste Sensory Diet – This electronic book includes 2 sensory diet books, one for home and one for school and over 150 picture word cards. 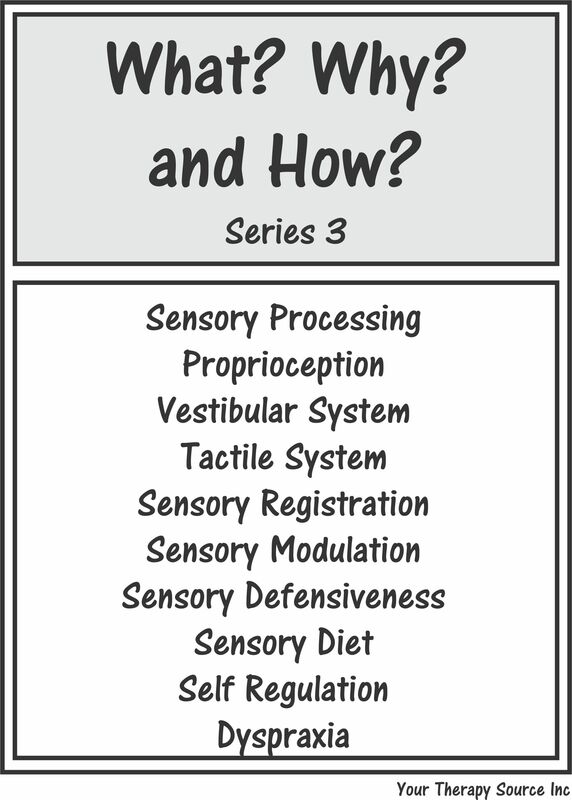 My Sensory Diet for School includes daily activities that occur during the school day such as riding the bus, staying in line, floor time, snack, cafeteria, recess and more. My Sensory Diet for Home includes daily activities such as morning time, breakfast, homework, bath, shopping, and more. For each page, there is a daily activity stated with 4 squares to paste the picture word activity cards. 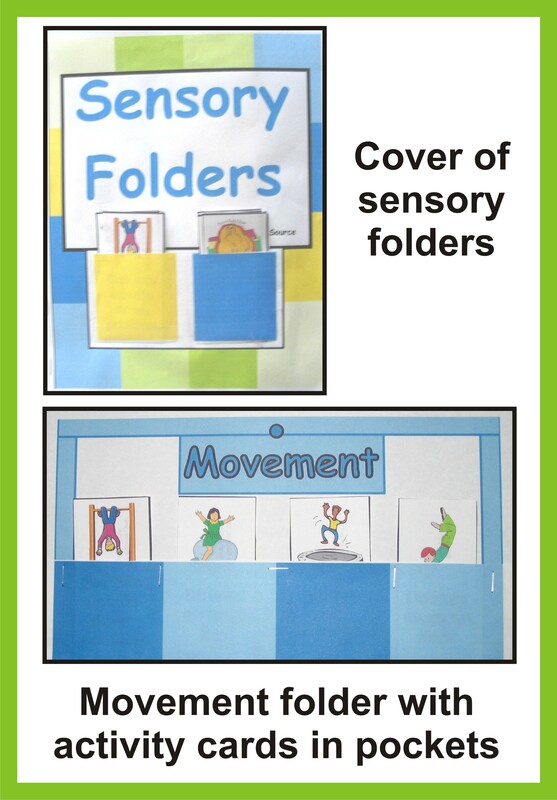 The picture word cards include tactile, proprioceptive, vestibular, oral, smell, coordination and balance activities. 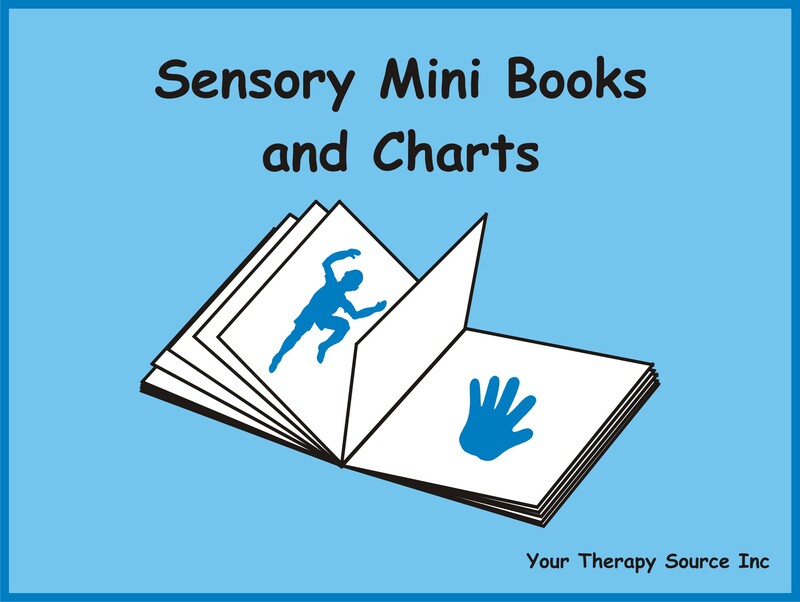 Sensory Mini Books and Charts – This electronic book includes 7 sensory mini books, 7 sensory charts, 7 sensory four square strips and over 100 picture word cards. 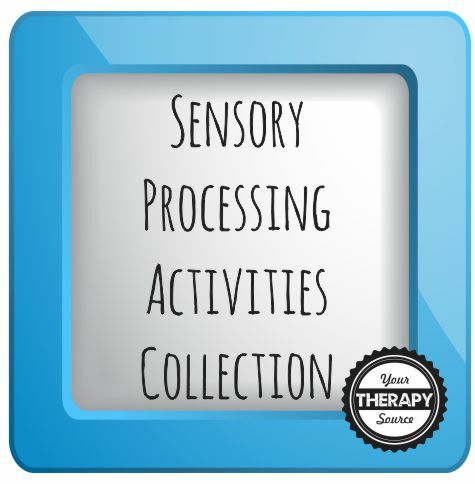 Sensory Folders – Print this collection over and over again for children with sensory processing disorder. 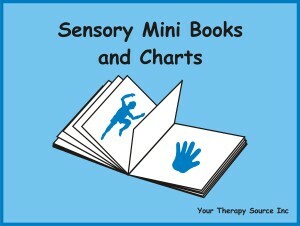 This download includes all the pages to complete 3 sensory folders (movement, calming and focus). 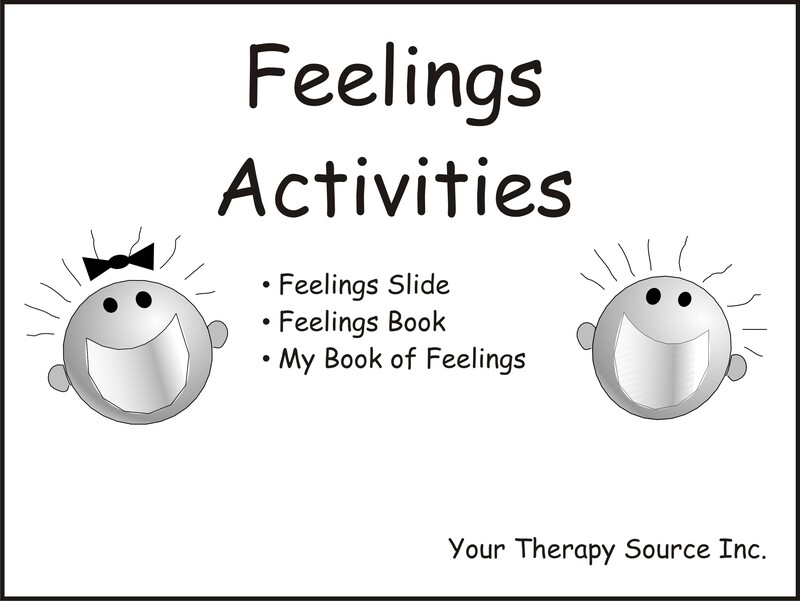 There are 40 activity cards that include picture cues and text to describe various sensory activities. Proprioceptive Poems – This is an electronic book of 14 pages of 2 movement poems – Push Poem and Jump Poem. 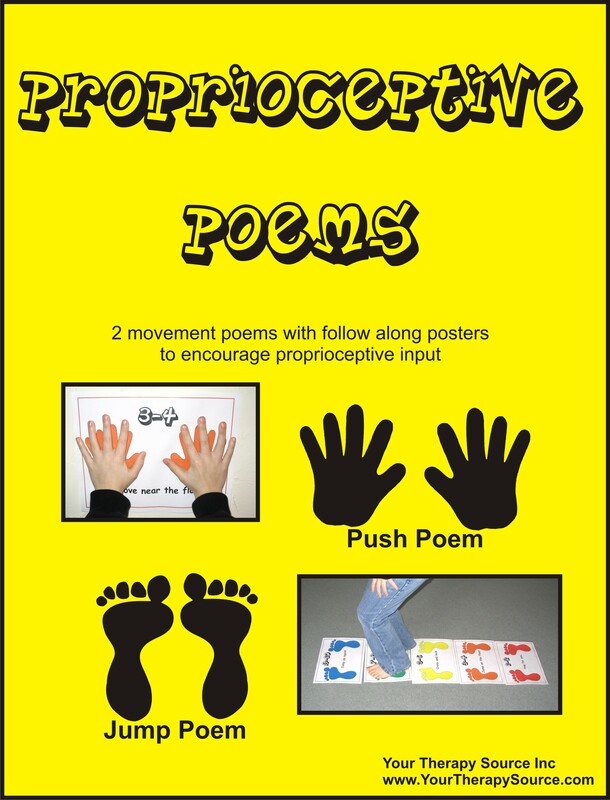 The poems encourage proprioceptive input with visual cues for the child to follow. Each poem comes with 5 pictures for visual cues along with a poster. 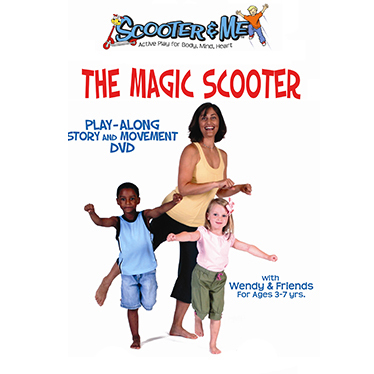 The sing song text of the poem is easy for the child to remember. This is a great starter activity prior to table top tasks, fine motor skills and tactile input. 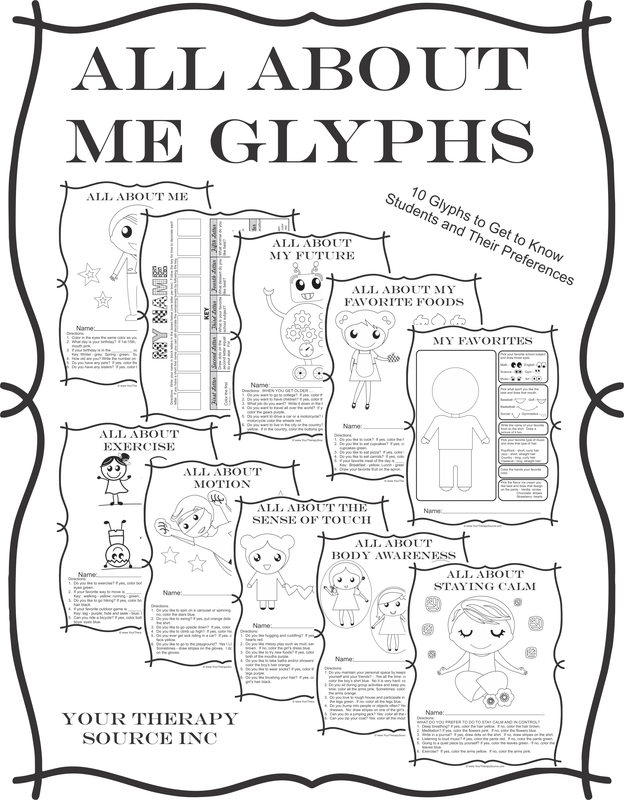 All About Me Glyphs – This download includes 10 glyphs to get to know students and their preferences. A glyph is a symbol or code that conveys information nonverbally. The student follows the directions to color and draw a visual representation of the his/her information. Students can then analyze the completed glyphs and compare everyone’s information/preferences. These glyphs are a nice alternative to written responses. This packet includes All About Me (Girl and Boy version), All About Exercise, All About the Sense of Touch, All About Motion, All About Staying Calm, All About Body Awareness, All About My Future, All About My Favorite Foods, My Favorites and Name Glyph.